The first Canal session of the year was with this lovely couple, Laura and Joe for their engagement portraits. I had so much fun walking around to some of my favorite canal-adjacent locations like the White River State Park portion of the canal that overlooks White River and along the canal itself. 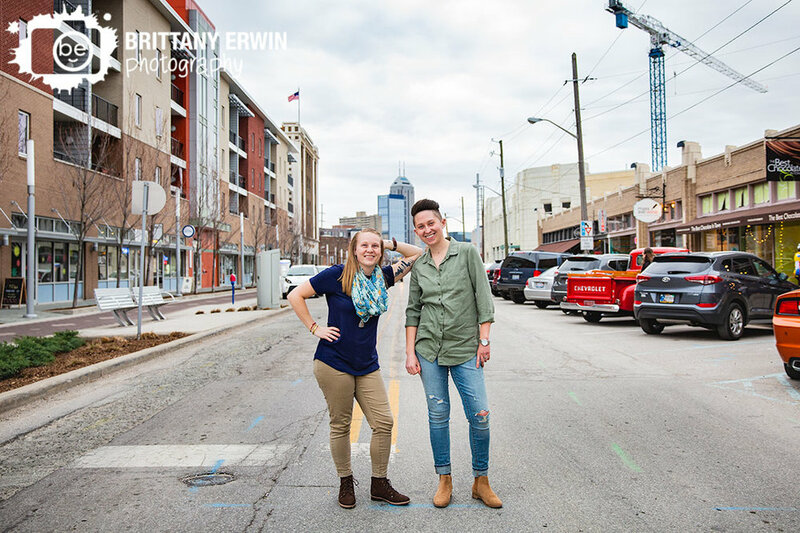 I always love an excuse to walk around downtown - especially Mass Ave - so when Whitley and Nicole said they wanted to do a walking session down Mass Ave, I was SO excited! I had an absolute blast with these two as we walked past a few of their favorite spots including the tattoo shop they got their first matching tattoos at. Engagement season is here so why not celebrate with some of my favorite engagement portraits from 2018?! Last year we made it out for a wide variety of sessions including snowy field sessions, brewery trips, special locations like Indiana University down in Bloomington and even a trip to a super cool doughnut shop! The golden shades of fall have finally set in and the Japanese maple out at the pond is in it’s full red glory. We had to reschedule their session a couple weeks back and it really did work out for the best with this late fall peak. 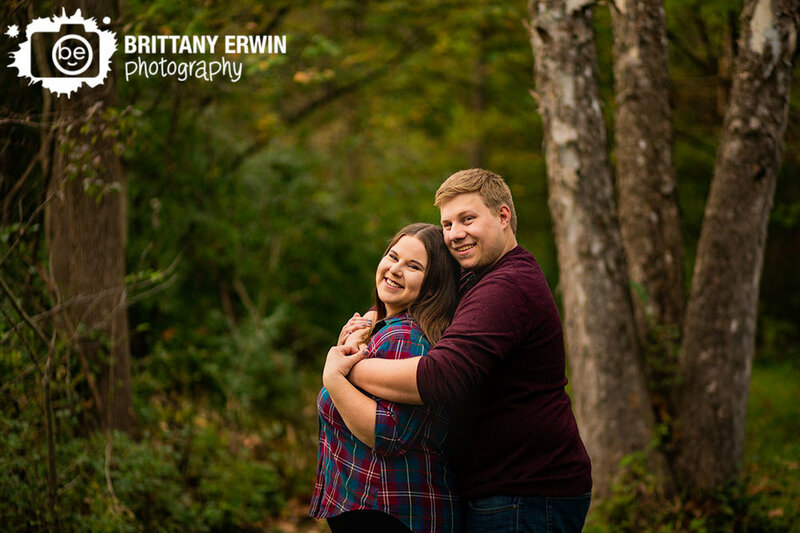 The fall palette was absolutely spot on for Haley and Shawn’s engagement session down in Camby last night. Fall is quite possibly my favorite time to get outside and photograph couples. The weather has finally cooled off, the trees have started changing and I may be a little biased when I say that we have one of the absolute prettiest falls here in Indiana. When Emily said she was really hoping for some photos in the fall, I was completely on board and excited to head out to Isaiah’s family property down in Martinsville. 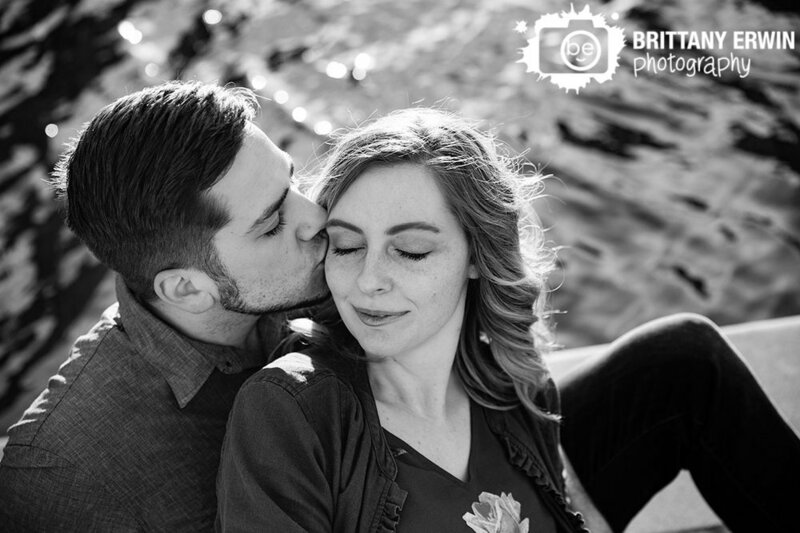 Bethany and Sam were way too much fun at their engagement session last week. We opted for one of my favorite spots, out at the pond in Camby. We walked the property, ran into a few deer and told some really awful jokes while sharing some laughs. It has been way too long since I’ve made it out to Holcomb Gardens - particularly in the fall. The whole area has so many gorgeous areas, from the obvious garden area, to the tower and the large pond at its base. I had so much fun walking the grounds again with Elaine and Luis for their engagement session. Anne and Kirby are two fellow bookworms that share a love of the stunning Indiana University campus, books, games and, of course, each other. They opted to have their engagement session at IU where we walked through some of their most significant locations like the music school, Union building, and the lovely path that links it all together. I met Meg and Davey out at Flat12 Bierwerks on Indy's near east side after the two had a, we'll say, slightly off day. Davey had a disagreement with his leg, also known as a break, but was such a great sport. Rosa, Raudel and their 3 wonderful dogs met me out at the pond last night for a fun session at sunset. I had so much fun with them and their three well behaved pups. There were Disney references, dancing practice and lots of laughs.